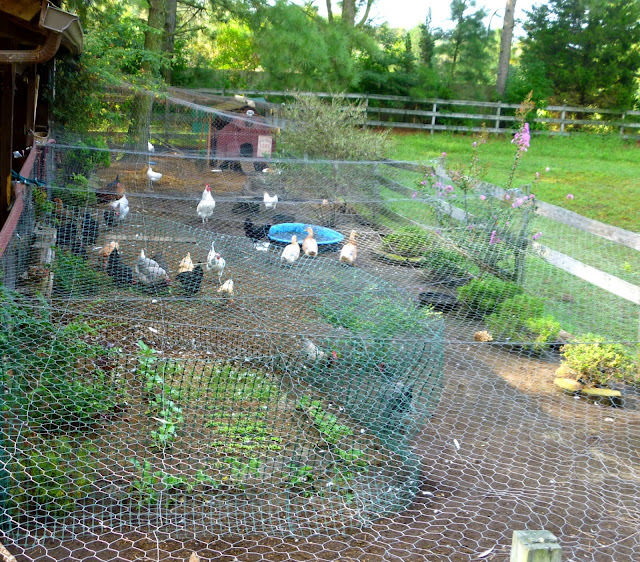 Although it may seem like an exercise in futility, it actually IS possible to landscape your chicken run. 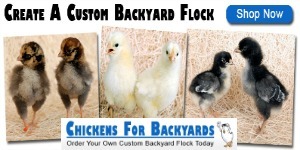 A nicely landscaped run serves many purposes both for you, your flock and your neighbors. Yes, this is my chicken yard - where more than two dozen chickens and ducks spend nearly all their waking hours. 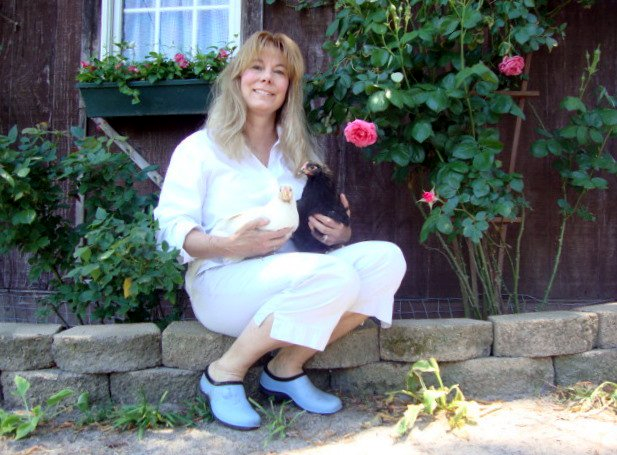 My chicken yard is spacious and filled with flowering bushes, shrubs, climbing roses and even a small garden area for the chickens to enjoy. 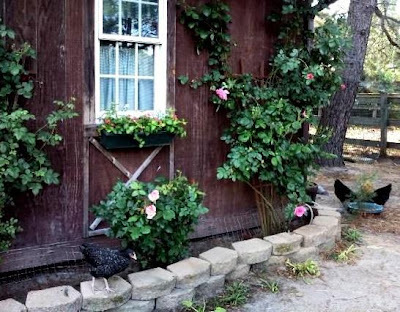 I plant climbing vines to run up the sides of the run and over the top to provide additional summer shade including roses, peas, squash, cucumbers, melons ...you could even try grape vines. 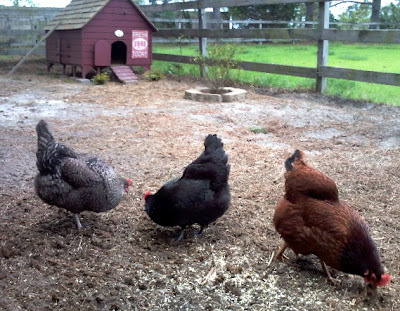 The reasons to spend a bit of time (and money) working on a pleasing landscape for your chicken yard are many. 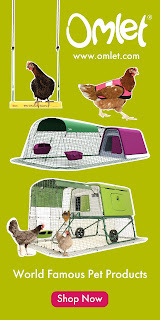 The more aesthetically pleasing the run area, the more time you will want to spend there with your chickens - and that is beneficial to you both. 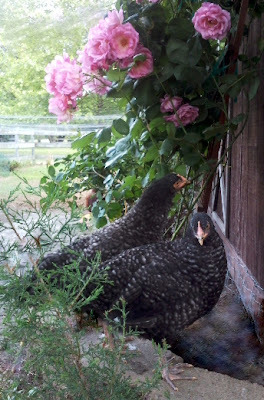 Flowers blooming and green leaves everywhere will help make your time spent with the chickens visually pleasing to your sense, just enhancing the natural joy their antics bring! Another reason to think about how your run area looks is that your neighbors might be less apt to complain about your chickens if your run isn't an eyesore, but instead something they don't mind looking out their windows and seeing. 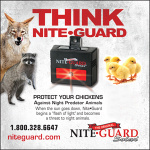 Landscaping also serves to block the visual line of sight of predators, both from the side and above. 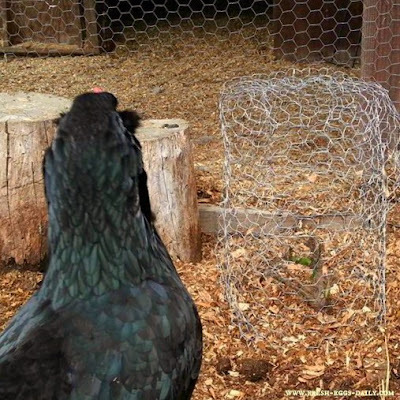 Even in a completely enclosed run, hawks will swoop down and other predators will approach from the sides, and shrubs and bushes can both block the predators from getting a good view of your flock, as well as provide your hens an added measure of security in their own minds. One more purpose for landscaping is the bugs that the various shrubs and bushes attract for the chickens to eat, as well as the shade they provide. 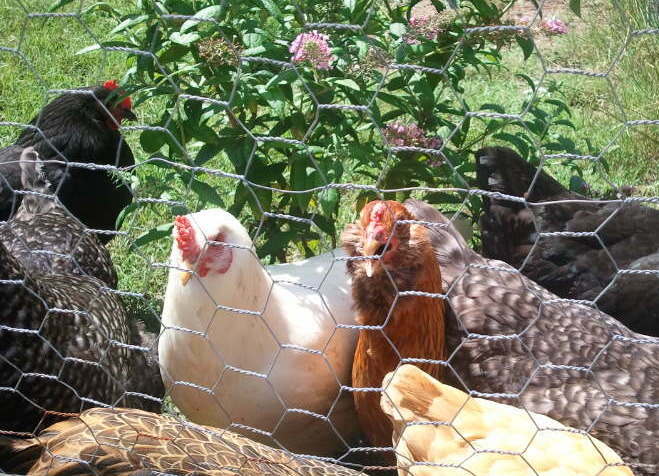 Shade is so important in the summertime and insects are nutritious and the chickens love catching and eating them. The challenge of course is finding things to plant that the chickens won't eat, but aren't toxic to them. That can prove to be difficult, but not impossible. 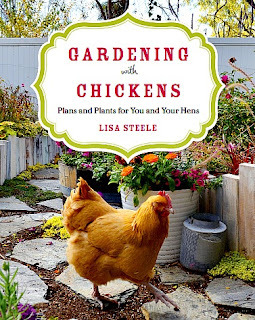 azalea, bleeding heart, boxwood, bulb flowers (including iris, daffodil, hyacinth, amaryllis), castor bean, clematis, elderberry, English ivy, eucalyptus, foxglove, hemlock, holly, honeysuckle (stems, leaves and berries of some varieties), hydrangea, ivy, jasmine, lantana, lupine, mistletoe, morning glory, mountain laurel, nightshade, oak, oleander, philodendron, poke weed, rhodedendron, skunk cabbage, wisteria and yew. 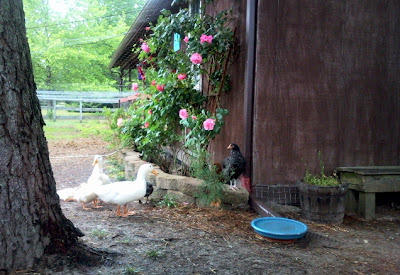 So, to start from the beginning, here is the area in front of our barn that we decided to make into a run when we got our first batch of chickens. I naively thought that the run would stay grassy with rose bushes in it and the various buckets of flowers and flowerbox I put under the window would be fine ! How wrong I was ! Within a few weeks, the entire run was dirt. The grass completely gone. The rose bushes fortunately had grown taller, but the bottom two feet were bare. 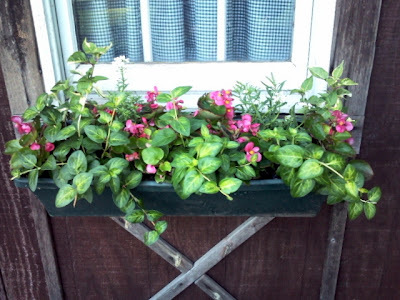 The beautiful window box I had planted was completely emptied of every flower AND all the potting soil. And the bucket of flowers was being used as a nesting bucket ! 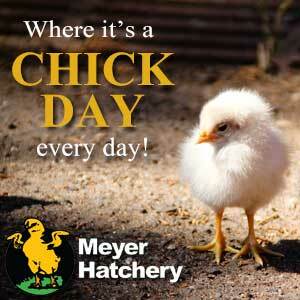 I actually found eggs nestled in the dirt on several occasions ! 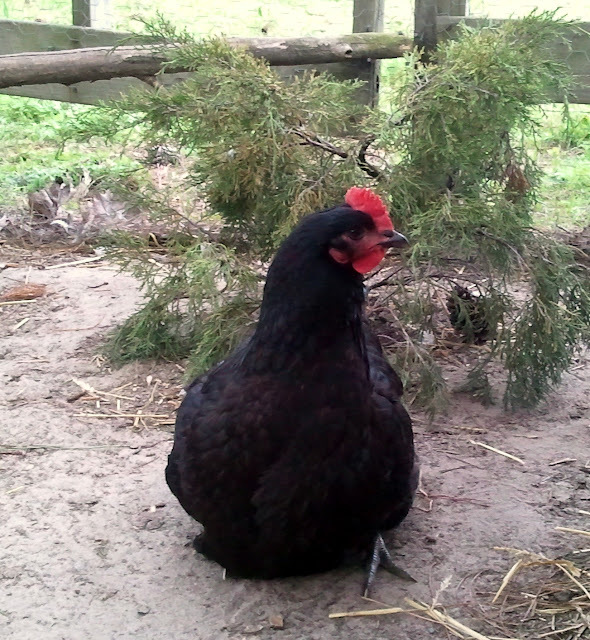 But I was determined to have a 'pretty' run for me AND for the hens, so I started reading up on chicken-resistant plants and doing some trial and error planting. I can tell you this. They will eat every bit of hosta, luriope, gardenias, petunias you plant. 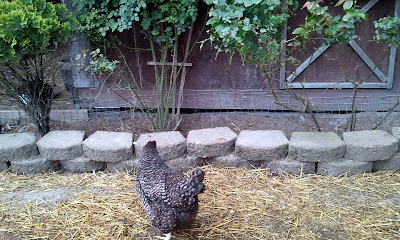 At my wits end, I even tried hydrangea, which are supposedly toxic to chickens. I figured they had enough else to eat that they would just ignore it. They didn't eat the leaves and blooms, but they still killed the bush by pulling them all off and spitting them out and then scratching the roots up. Butterfly bushes are perfect in the run. They are so pretty and they grow fast, providing nice shade. 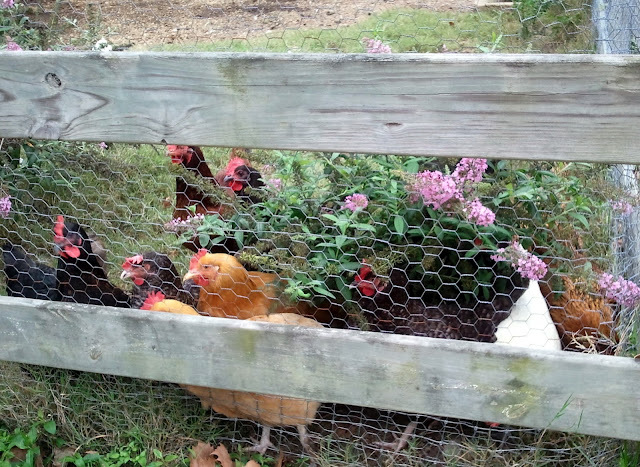 The chickens don't eat them and the flowers attract lots of bugs. I cut them back each spring, but even in the winter, the chickens and ducks like using them to snooze underneath....and hide behind. Another suggestion is Juniper. 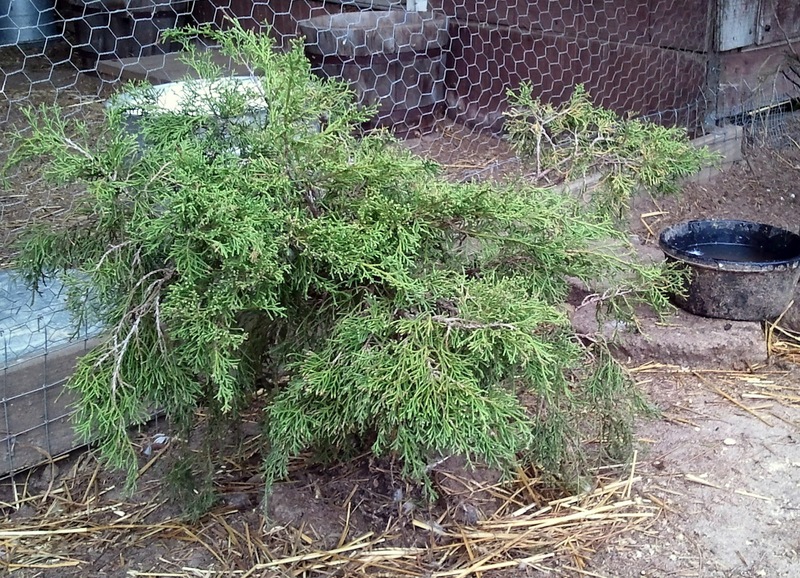 The juniper doesn't provide quite as much shade, but it adds year-round color to the run, blocks predator's view into the run and the chickens don't touch it. As a precaution and to let new shrubs get established, I ring the base with stones to prevent the chickens from scratching the roots up. Most firs will do quite well in a run, just steer clear of yew as it is toxic. Rosebushes actually turned out to be wonderful in the run. The chickens still eat the bottom two feet or so of leaves, but if you can cage the bushes until they are taller, the bushes will flourish. Learn how to make an easy Chicken Wire Garden Cloche HERE. 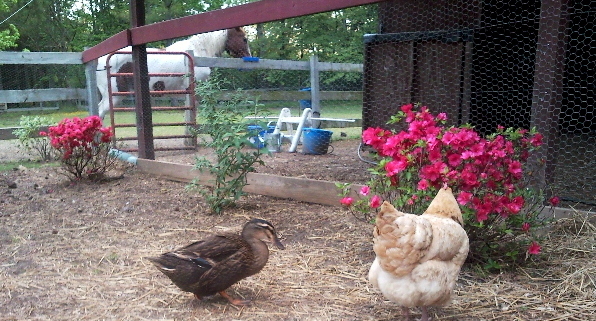 The leaves and petals are particular favorites of the chickens and ducks, and I toss them the spent blossoms, or they eat them as they fall. They also love eating the rose hips that I crack open for them with my fingernail once the petals have fallen off the flower. Hawthorn is another great choice. 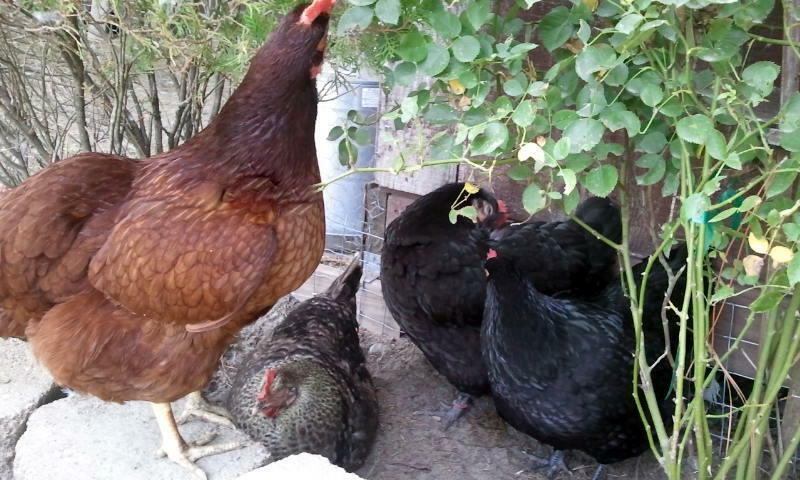 The berries are edible and drop in the fall and so far our flock hasn't bothered the bushes or eaten any leaves. 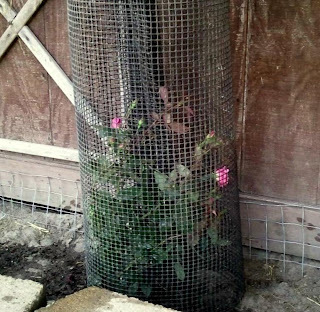 It is always a good idea to cage new bushes to prevent any digging and scratching around the roots to let them take hold. 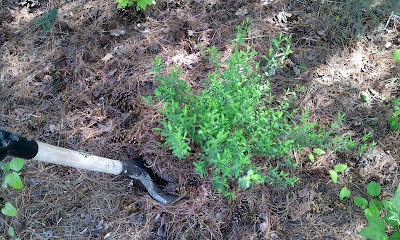 I frequently go out in the woods and find little shrubs and bushes and transplant them. 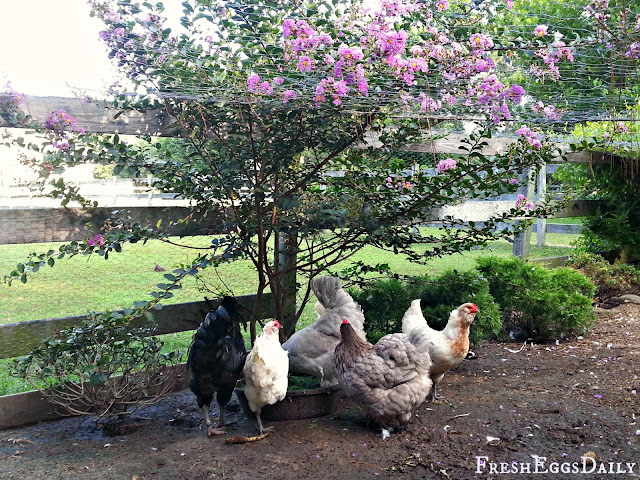 Sometimes they work out, sometimes they end up being an afternoon snack for the chickens ! I found this one today and replanted it in the run. If they end up eating it, no harm done, at least it was free ! I also plant grass seed each spring. 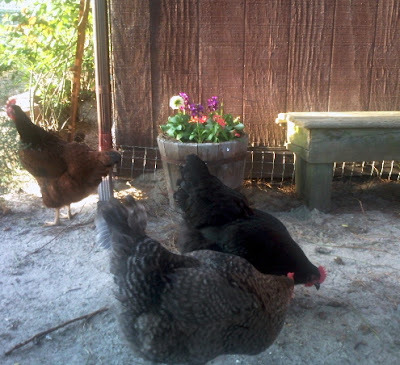 I block off the sunny half of the run before planting the seed and keep the chickens out until the grass has had a chance to establish itself. 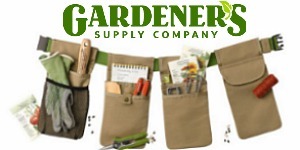 Just be sure that seed is not coated or treated with any chemical fertilizers. They end up scratching it all up, but it looks pretty while it lasts and keeps them occupied. 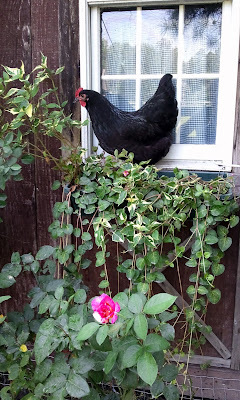 I plant edible flowers in the window box each spring, knowing the chickens will eat them but enjoying the flower until they do. So it is possible to have a beautifully landscaped run. A few low stone walls make certain areas visually pleasing as well as provide a place for your chickens to get up out of the mud or snow. A variety of bushes and shrubs will make your run look nice, while providing shade, a supply of bugs and insects and a predator screen. The joy that a pretty run brings me makes it worth the extra effort. Here is a short video I took, a sort of quick run tour, to show you some other things I have planted around the run. I apologize I don't know the names of many of the plants, but you might recognize them. I never use any chemicals or fertilizers around the run area. 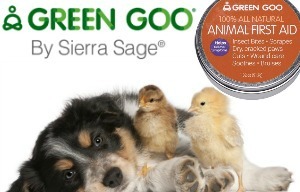 There are a few companies that make some great organic, pet-and people-safe products for your garden, and they are the only things I use on the plants in the run. Choosing safe bushes and plants sometimes seems overwhelming, and all plants are not toxic in the same amounts, but its good to keep away from those that can be. 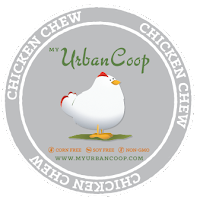 For the most part, chickens do know what is good to eat and what's not and they will stay away from anything that is dangerous unless they have nothing else to eat. 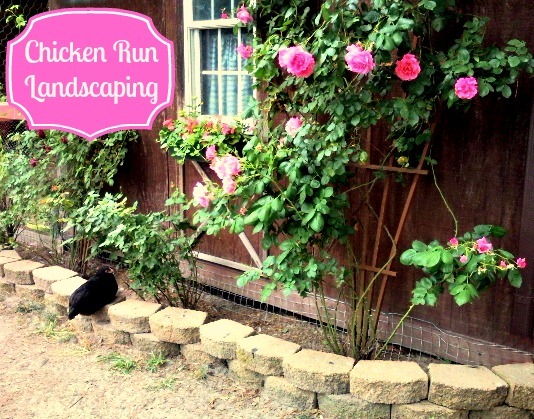 I hope this has given you some ideas and inspiration for creating a gorgeous run for your chickens. If you are serious about landscaping your run, or learning how to protect your lawn and garden from your chickens, you'll want to read my book titled Gardening with Chickens. If you have any tried and true plants that work in the run please feel free to comment and share ! I love seeing these photos. Your girls are quite industrious! 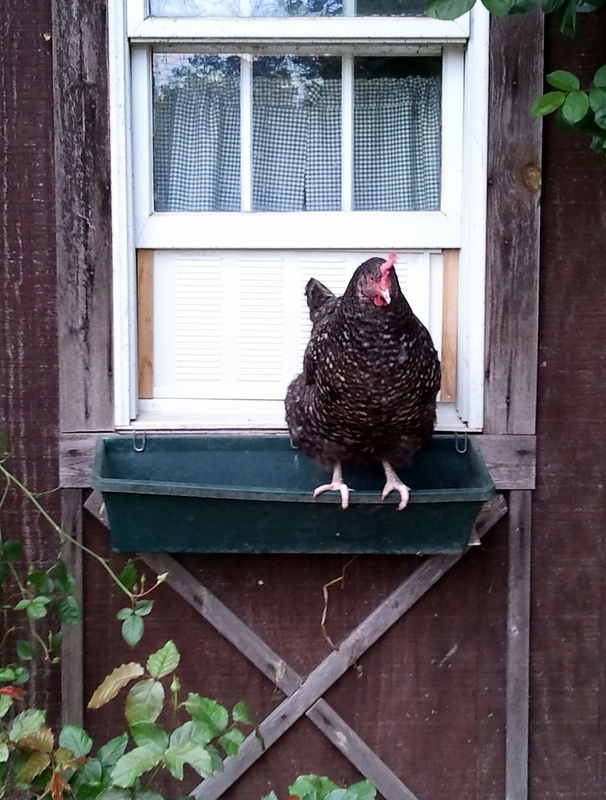 Love seeing the chickens in the window boxes, though I am sure you don't! I've resigned myself to the fact that they will eat pretty much anything, but it does look pretty for awhile. And there are worse things I could be doing with my time than planting and spending time outdoors. All in all, I think its a win-win. Mine pretty much leave everything alone if it's almost a metre tall. I have camellia's that they don't eat if your trying to go for flowers. For fruit my loquat tree provides wonderful shade during the day. Thank you for the other suggestions. You have the most original run I have ever seen! After reading this I went for a walk to see if I could find something that grows fairly tall.I did-folks back here call it a Molly Ollie bush,the flowers are very fragrant and a beautiful full bush,the only draw back is that it has thorns but I really don't see that as a problem.While the blooms are on it is full of bees and other insects-what do you think? I think you need to dig some up and replanted it in your run. The thorns won't be a problem at all. Sounds perfect. I LOVE this! 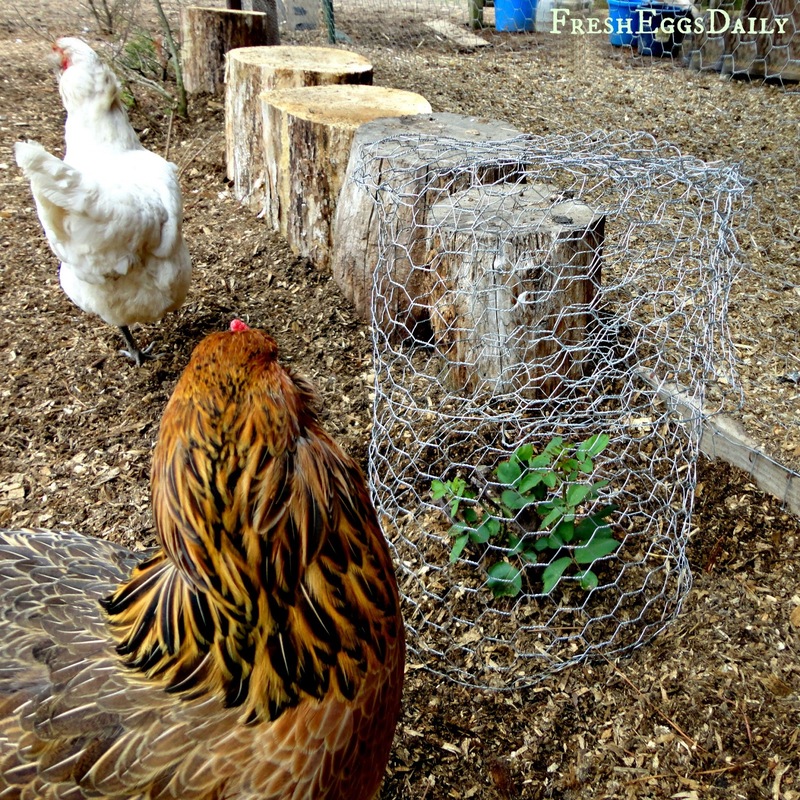 I really want to pretty up the chicken area with flowers, but the only thing they've left alone that I planted is the wormwood. Butterfly bushes and roses just hit the top of my planting priority list! Thanks so much for the inspiration; lovely post! Thanks Lisa....! I have been thinking and thinking what to do....the info on the toxic plants is great!! Very helpful!! LOVE your post! Great information too, thank you! I was thinking of a grape vine to grow up over my run which is very sturdy. Have you heard of any luck with these? I think thats a great idea. 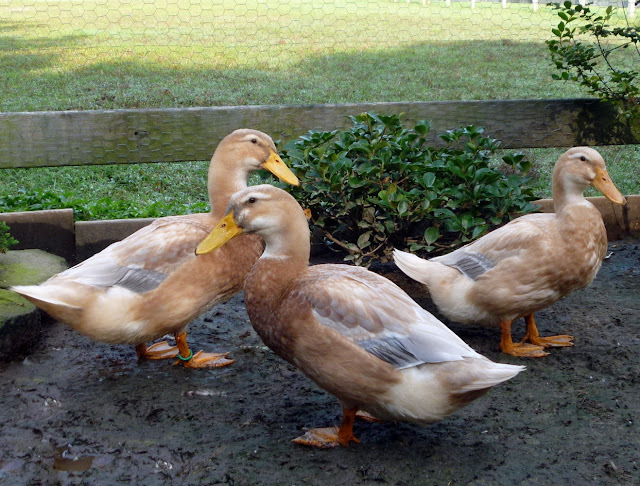 They love grapes. As long as you are able to keep some leaves on the vines until they get maybe two feet tall or so, they should grow great AND provide nice shade. Daylilies and irises still come up and thrive in my run area and a beautiful bush with little white blooms (bridal wreath?). In one corner, under a tree, I have what my aunt called silver dollar plants that have a nice purple/pink bloom in the spring and the dry 'dollars' can be used in arrangements in the fall. They attract bugs and butterflies. These reseed themselves and spread. I also hang various ferns and spider plants inside the run (arms length high) and flowering hanging baskets on the outside perimeter. What a wonderful post. Thank you for the inspiration. 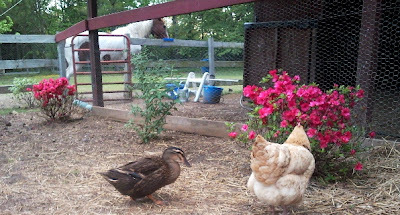 Hi I am new to your blog and came by your facebook page by Garret Ranch whom I follow on my wall @ 3Beeze Homestead. They posted a picture by you. So I came by to have look and I am glad I stopped in. Thank you ! 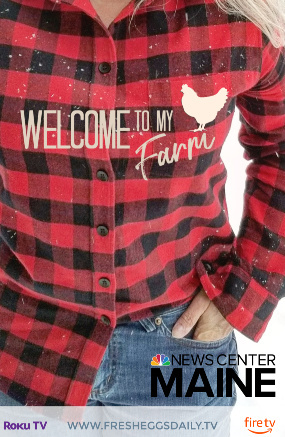 Glad to have you stop by ! Thank you so much for the great ideas! My butterfly bushes have been in the ground in the run for about 36 hours and they're unharmed. That's a record for my girls who usually watch me go in the house after planting and then immediately destroy my work... 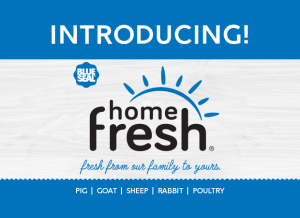 I'm feeling hopeful, and a bit more adventurous thanks to you. I have tons of things growing in the back property, and your blog gives me inspiration to do something in the chicken yards with some of them! I especially need to find the name for that shorter butterfly bush, and get some roses established there. Thanks, Lisa! I own chickens with a co-worker and neighbor (who is also a close friend) and we have had a great first year with them, they live at her house. 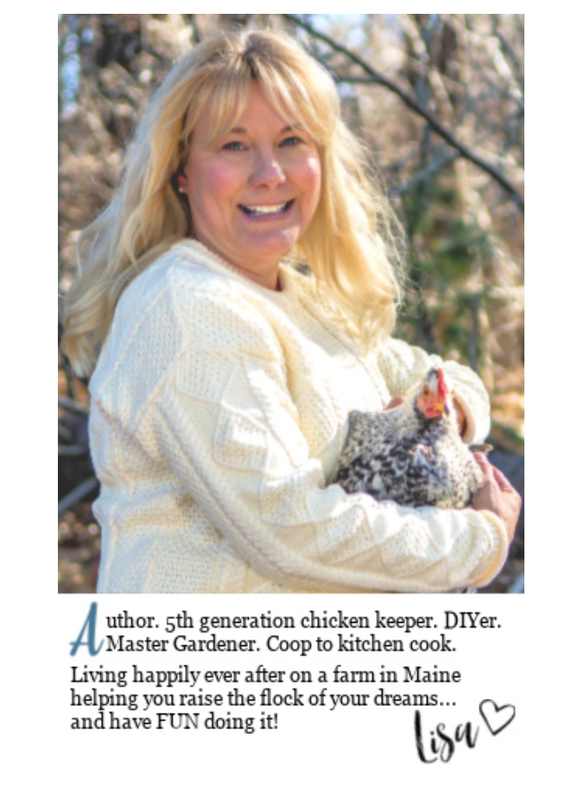 I had to chuckle when I read about the butterfly bushes. 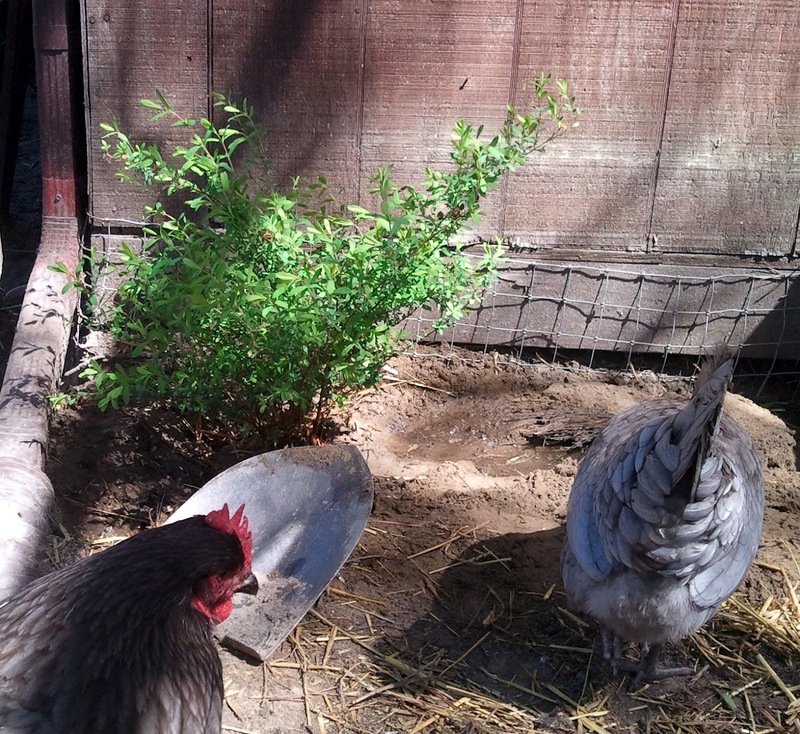 Our chickens think butterfly bushes are the best thing ever. As soon as we let them out to free range, they are the first thing they go for! We recently added to their run and had to trim one of the bushes back. 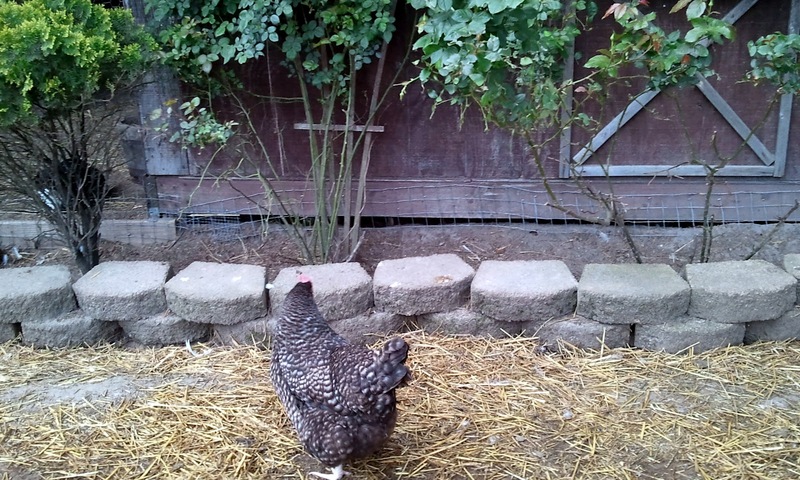 We knew that as soon as it put out any new sprouts,the chickens would take care of it. We do have some wisteria and clematis growing near the new addition that is shading it and that will hopefully gow over the top of it. They seem to leave it alone. Great post! I guess I never thought about landscaping the run! Now I will! Have you checked out any privets? It's considered an invasive here, but there's an old volunteer bush of it in our duck run. 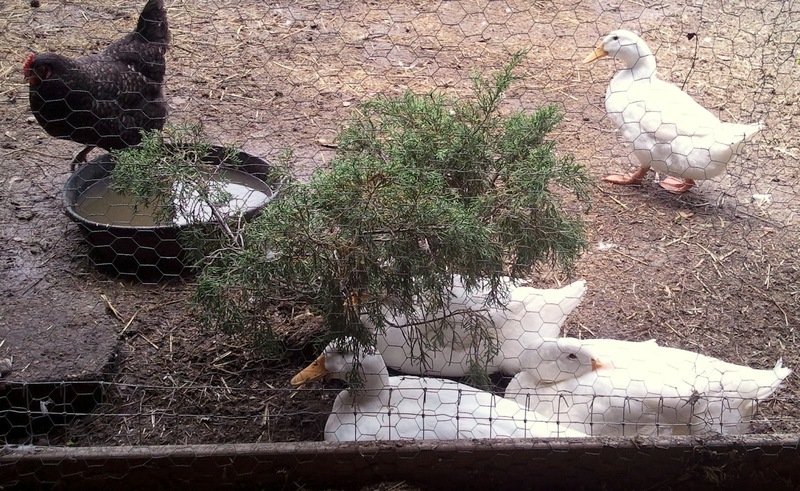 I noticed they only peck at it if they run out of their feed before we do morning chores and then only what they can reach, but they really benefited from it this past extremely hot summer when they hid under it for shade. Privet can be pruned like any hedge and, if it's safe for and distasteful to chickens, might make a good line of sight boundary for your run. Oh good! That's about as close to 'gardening' as I get but I wanted to join in on your party! 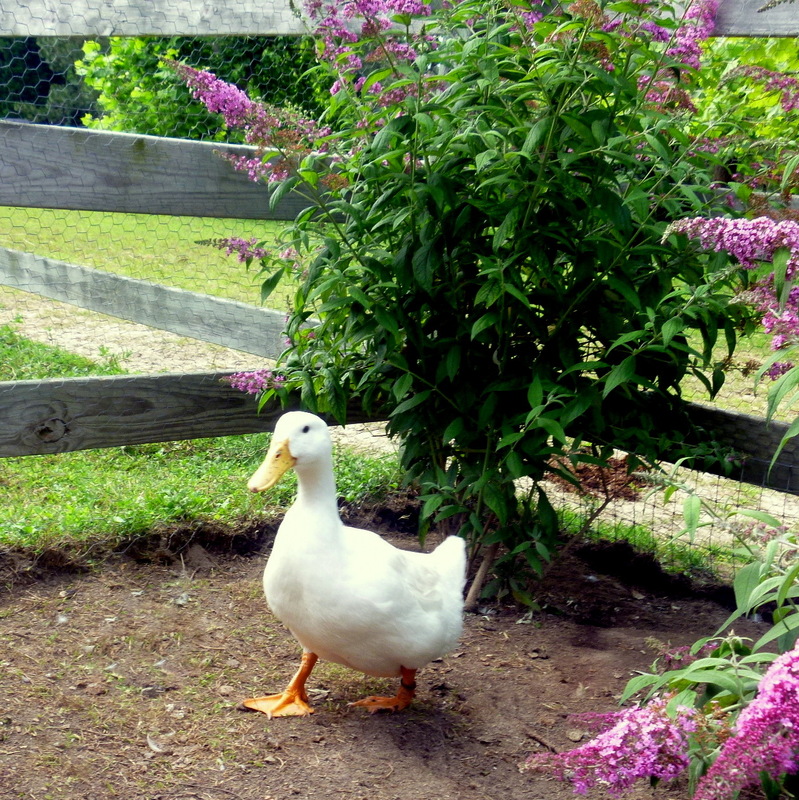 I'm glad you liked it and definitely plant some butterfly bushes for them, they will love the shade. 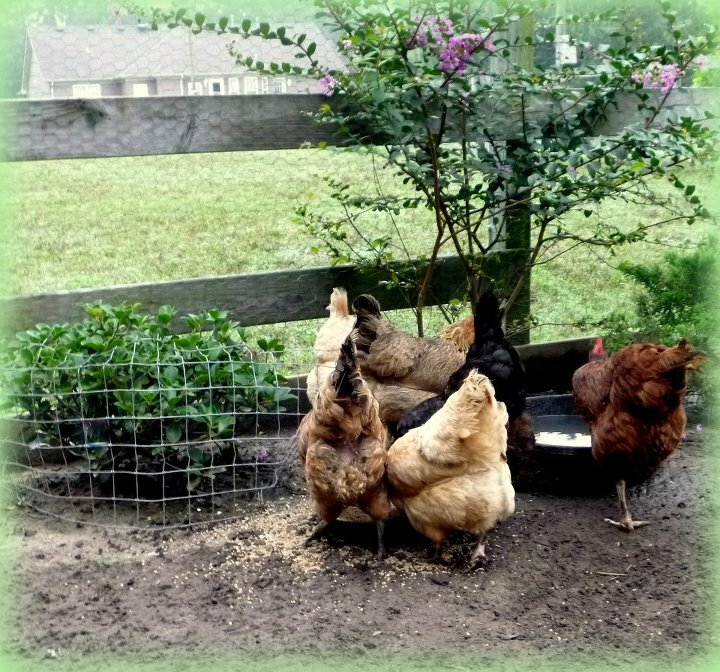 This is such a helpful and detailed post about what works and what doesn't for chicken landscaping--very interesting to read! The result of loads of trial and error believe me! Thank you for stopping by. 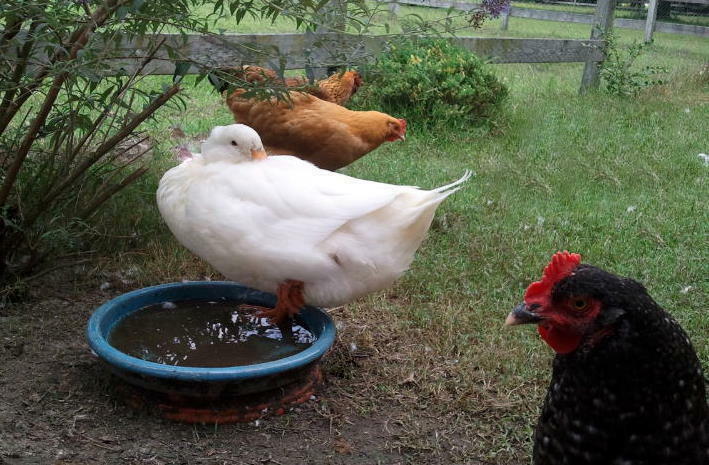 Stopping by via Garden Party~~Love your fine feathered friends!! 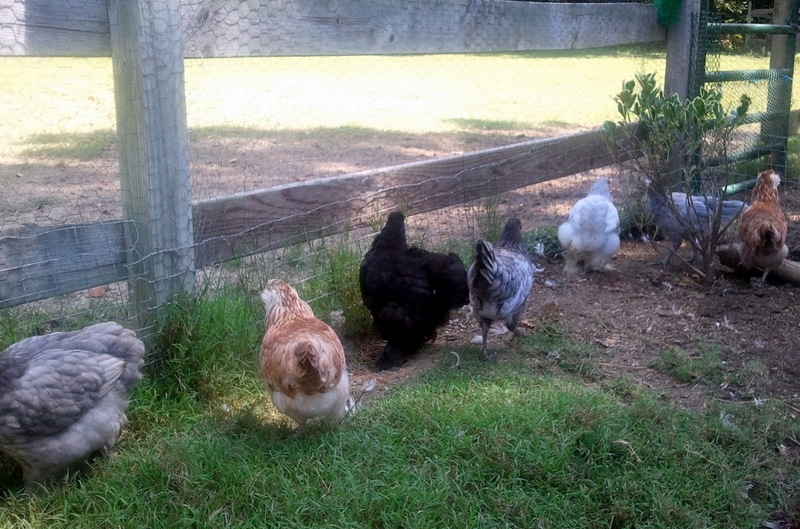 I hope to have chickens some day, but for now, your blog is my get-a-way to the farm. My chickens are free ranging, but they do have a run too. I planted mums in my yard which they are curious about now and then, but they don't bother them much. 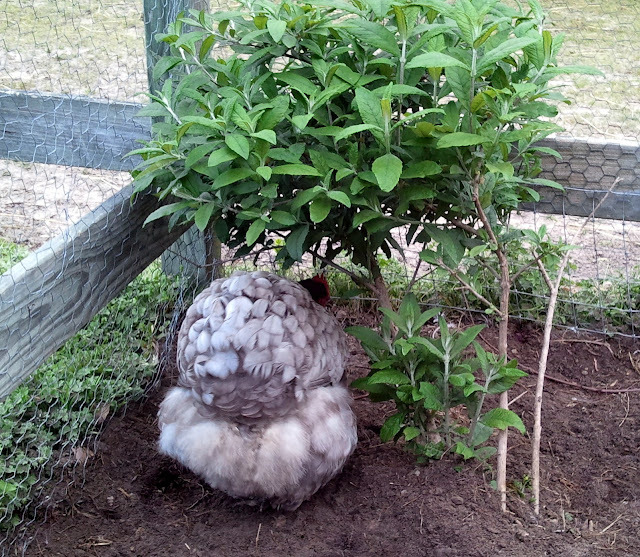 I also bought a holly bush. They went immediately to picking the berries off. They didn't eat them, just picked them off and spit them out. The rest of the bush is left alone. I'm having the exact same issues! We've just bought our own home, and have a lovely spot for "the girls", but it cops the afternoon sun, which in Australia, is pretty harsh. I'm thinking of going for a tropical look, and planting palms. I can't find whether they are poisonous or not, but they don't tough the ones that were at the old house. I loved the before and after photos. 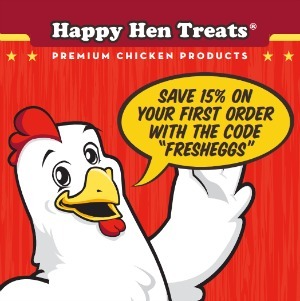 Those cheeky chickens! Took me time to read all the comments, but I really enjoyed the article. 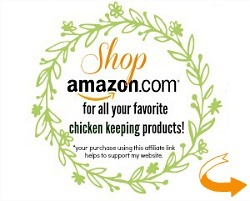 It proved to be Very helpful to me and I am sure to all the commenter here! It's always nice when you can not only be informed, but also entertained! I'm sure you had fun writing this article. Mine dislike rosemary and won't even sample it. It grows as a perennial here and makes a decent hedge. 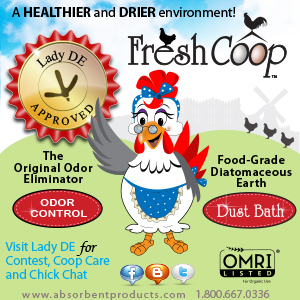 The smell also helps combat some of the funk that the chicken house cooks up in the summer. A beautiful landscaping with income.Thanks the landscaping company for multi purpose. Love the ideas! 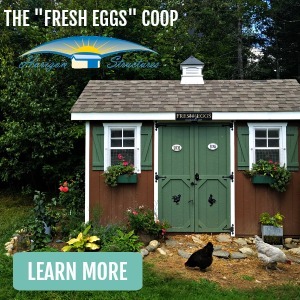 We are starting a coop this year, and it will be very close to our house, so we are looking for ways to lower the stink factor:) Love the juniper and butterfly bush ideas - we grow both prolifically already, so we'll add those to the mix. Now that I"m not sure of. If its not toxic they'll eat it, but if you can cage it while its small once it starts to climb they can't reach it and it would be beautiful. I don't think I've ever seen it on any toxic lists. I would give it a try. Great post! 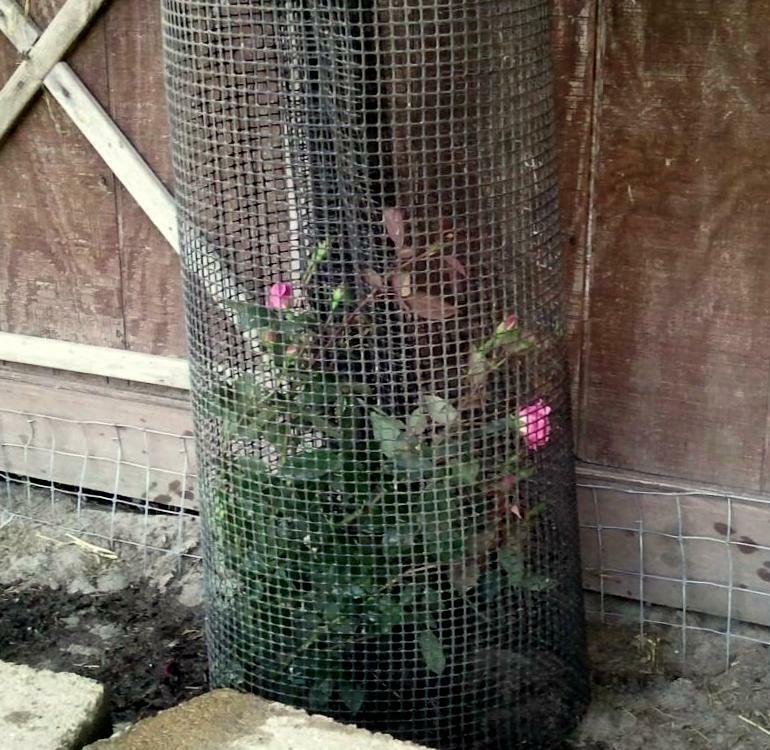 I am going to try to plant a rose bush in the run and see what happens. 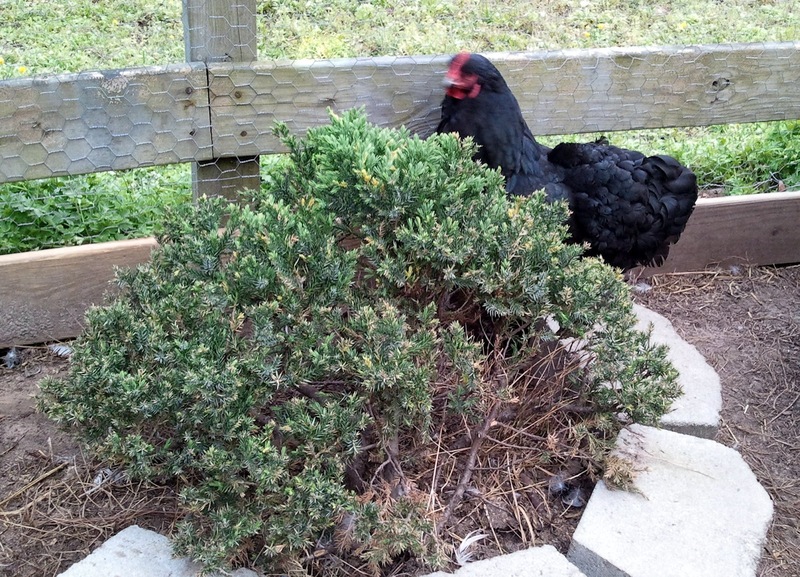 At one point, I tried housing my chickens where some vinca major had taken over. They may have sampled it, but they did not get rid of it--much to my disappointment! If you like vinca major, try that in your window box. I've got some vinca under a tree out front. 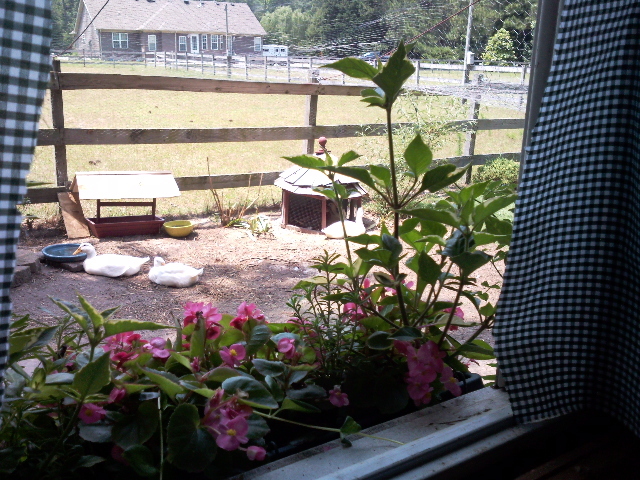 I love it...hmmm, might have to transplant some to the run and in the window box. Thanks for the tip. Crape myrtle is safe in the run, based on two years experience. 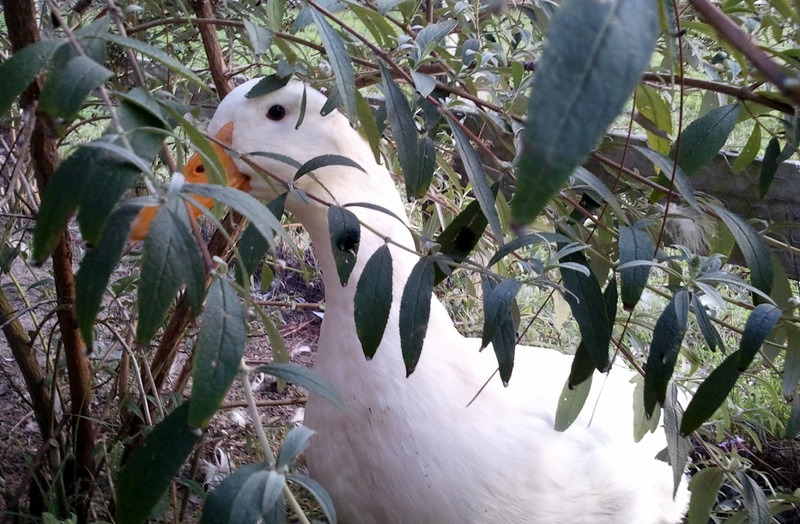 My ducks and geese ate plants listed as toxic with no obvious ill effects, including morning glory, four o'clocks, and irises. They also are addicted to mimosa/silk tree flowers. (Mimosa seeds are supposed to be seriously toxic.) 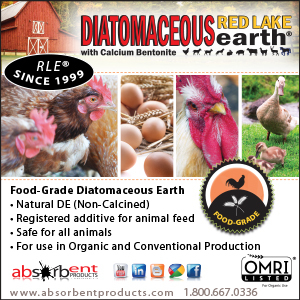 If you have a mixed flock, bear in mind that each species has its own lists of safe/toxic/forage plants. True that not all toxic plants cause immediate death.. 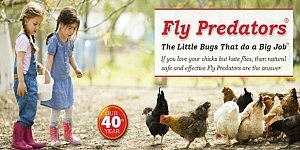 Remember some toxins build up in the body and others will only affect an already weak or otherwise compromised bird. 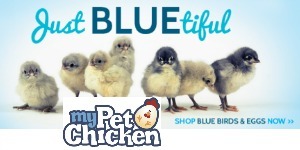 There are different lists for different types of poultry that's also true. 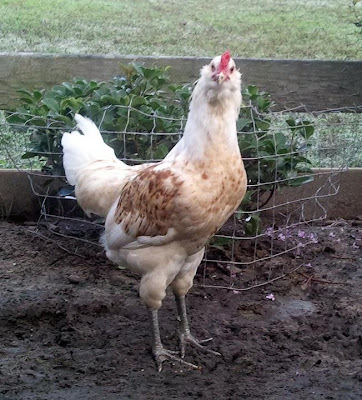 Free ranging is one thing, I wouldn't necessarily strip my yard of anything potentially harmful, but I also wouldn't go out of my way to plant something in my run that was listed on toxic plant lists. Ok, so Hawaii, especially where I live, everything GROWS! I'm trying to find things I can plant around my run... Trumpet vine, any idea? It's invasive here, but it's already invaded me so I was wondering about transplanting some. I'd love a vine that would grow up the fence. Butterfly bush is out, when I checked, it's invasive here and they are EXTREMRLY pickiy since we have a closed ecosystem pretty much. Evergreens are out (well, except for just a few). Think they'd eat pineapple growing? You plant the tops from ones you buy.... In my 2nd year, mine exploded, I've got 1 with 3 fruit growing. Papaya? They grow EXTREMLY fast, I bet if I planted a few now, they'd be 3 feet tall when my babies are ready for their run. No leaves down low, but they drop fruit fairly regularly which I bet they'd love. Thinking about planting echinrcea in a foot wide outside the fence... Not sure how well that would grow here, things are just strange all around. My temps range to highs of 75 in the winter, 85 in the summer. 60-65 at night, year round. I live in a rainy area, we get rain just about every night. I do NOT have a green thumb, but I'm willing to give it a shot for my babies! I AM planning a moveable run with a tunnel to connect to their regular one so maybe I can save some grass? My yard is big enough, I could move them daily and not hit the same spot. Hi there. I think pineapple and papaya would be great. So would the echinacea. Really anything that would provide shade and look pretty. Give it a try. Let me know. Just a thought, but what about Jerusalem Artichoke? It spreads quite quickly and is rather invasive. Perhaps you could try it? I've heard that chickens love to eat the tubers as well. Didn't know morning glory was toxic. 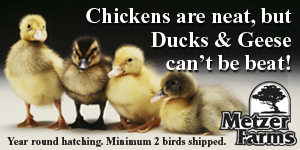 Guess I won't feed them any of that in my occasional weed feeding. 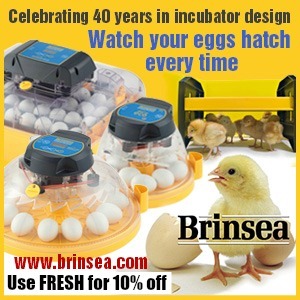 Your chickens are lucky birds! I can't landscape my run because it has a concrete slab underneath straw and wood shavings (it's a former outdoor dog kennel). So I always plant climbing vegetables like pole beans and cucumbers outside the fence and let them climb up and into the run. The girls and I share the harvest. Aloha Tina, (I see this was posted a year ago but others may need info on Hawaii). I don't have a specific area that they are confined to, they go all around the property but love the fruit trees (Star Fruit, Avocado, Mulberry, Thimble Berry's, Banana Trees, Papaya, etc. 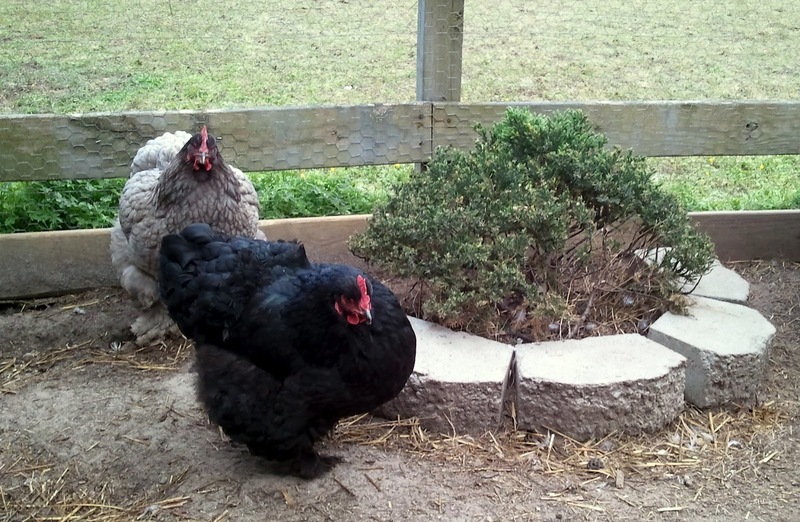 ), and they actually keep all the slugs off of our Herb Spiral without eating the herbs. Our jungle in Pahoa (sounds like you're there too) is very different from any other ecosystem, and implementing mainland plants don't do well here. I use a lot of Taro, Ginger, Aloe and naturally low growing growing decorative plants (the ones people buy at the store but grow here like weeds). I too am in the process of participating in our local Ohana classes at Hawaiian Sanctuary and Kalani (they're free) so check them out. Many of the people there have tons of information for our area:-). Mahalo for posting what I was thinking. What material was used to cover the run?